On Saturday, Gearbox CEO Randy Pitchford responded to user LilMcFlurry on Twitter regarding why Borderlands 3 for PC is coming exclusively to the Epic Games Store for six months before Steam. In a very long series of tweets, Pitchford explains numerous reasons regarding their decision. 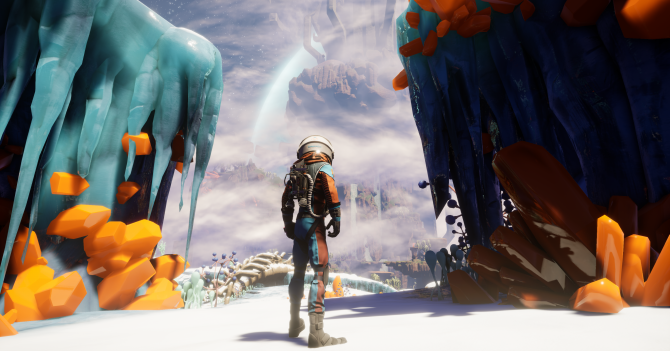 Pitchford’s comments addressed store features, Epic’s business model compared to Valve’s, pro-consumerism, Gearbox’s history working with Epic, and the final decision being up to 2K. This news comes after Pitchford defended their decision for Epic Games Store exclusivity after being review bombed on Steam under the franchises previous entries. Borderlands was not the first franchise on Steam to receive this kind of treatment as the Metro series was also bombed on Steam after announcing that its newest entry, Metro Exodus, was going to be an Epic Games Store exclusive. In their tweet, LilMcFlurry asked Pitchford as to why they picked Epic Games Store over Steam when it is more popular and has better features. Pitchford responds with numerous tweets discussing how the main decision regarding the Epic Games Store exclusivity was made by their publisher, 2K Games, and that there was only so much say he had in that decision. Regardless of that, he supported 2K’s decision. He also proposed the question as to how gamers can know if Epic Games Store and Steam have the same goals and objectives. 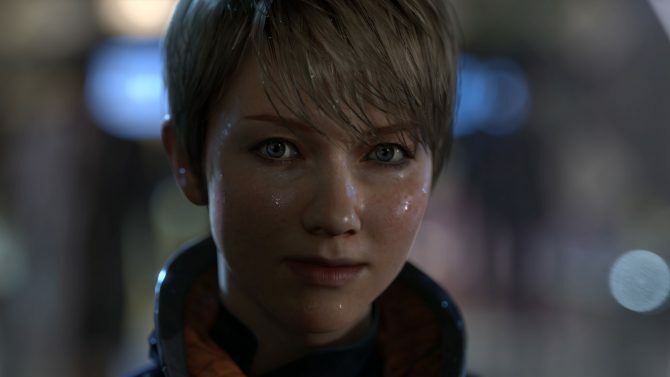 Some features that Steam has may be features that are not part of Epic’s vision and some features Steam never contemplated may be part of Steam’s vision. The vision for how a store should interact with a customer and a developer and a publisher is all part of the equation. Accepting that Steam has more features available, Pitchford brought up the realization that Borderlands 3 will not come out until September so there is plenty of time for Epic to implement features that will provide satisfaction to customers. 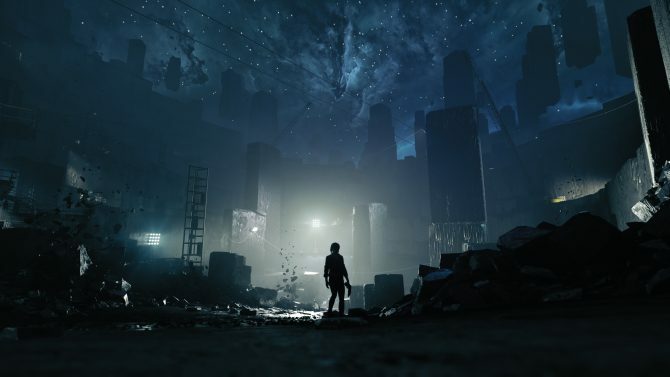 He also recognizes that they are taking a risk in Epic Games Store not knowing for certain whether or not it will meet expectations based on the Road Map that they published back in March, which you can see here. Epic has published a near term road map. This road map includes a look into things they are committing to. If I were a betting man, I would expect that there are more things that happen than what they are committing to…The store will be different when the game launches. It will become a boon to their store if they bring sufficient features to make the customer experience great for us. Epic will suffer (again) if, by the time Borderlands 3 launches, the customer experience is not good enough. This is a tremendous forcing function for Epic. This is also really good for Borderland 3 [sic.] as Borderlands 3 will be the biggest, by far, new game to arrive on the Epic store since they launched and Epic can be sure to invest huge amounts of resources specifically for the features most important for Borderlands 3. The forcing function of that will, in turn, make all those features available on a faster time-line than otherwise possible and this is good for all games from both the customer perspective and the developer/publisher perspective. Pitchford continues to discuss why having another neutral online store for PC gamers is good for developers and customers alike. 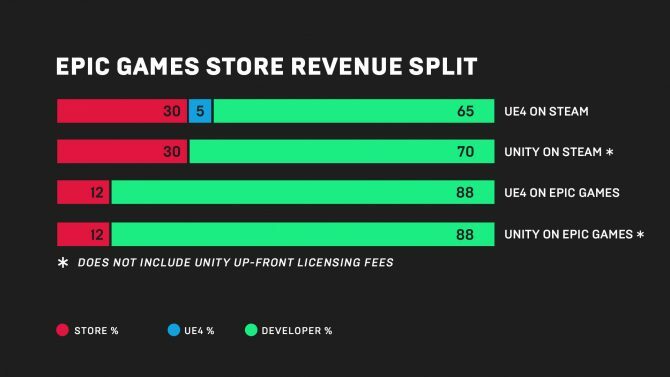 Arguably the biggest discussion between the Epic Games Store and Steam is the amount of revenue that each takes from developers with every purchase made on their respective stores. From the announcement of the EGS, Epic released this chart comparing the amount of revenue taken from them and Valve. Epic Games Store only takes a 12% cut of the revenue while Steam takes 30%. That’s two and a half times the amount that Epic takes. With having a twenty-year career between both Valve and Epic, Pitchford says that he knows a lot about how both companies function and why he thinks that Epic Games Store will likely bring an end to Steam if Valve does not make big changes quickly. [Steam] have also taken a significant amount of value off the table and, when they’ve reinvested, they’ve tended to put it to a lot of other activities besides the store that is generating all of the revenue. They’ve been able to do this because they haven’t had to worry about it. There has been no viable competitor to Steam. They have had no external force sufficient to challenge their revenue share and no external force sufficient to motivate a sufficient reinvestment of revenue… The faster Valve can maneuver, the longer it can stay ahead of Epic on features. But, if I were to bet on this (and remember I’ve got a pretty good seat with a great view of this competition), Epic will inevitably surpass Valve on features and quality of service. Randy Pitchford is known in the gaming industry for being an out of the ordinary person specifically with his love of on-stage magic, but he is honest and true to himself and his company. His history in the industry is long and fruitful so while this will be a risk for Gearbox and 2K it is one that they are clearly willing to take; hopefully, it works out for them the way they expect. While they are taking the chance he does not think that Valve is just going to sit there and die. Steam will have no choice but to either give up, lose or to get better faster than ever before. This is good for Steam customers, developers, and publishers. Because Valve is pretty damn good with some awesome talent, I do not expect them to give up or to lose. They’ll fight for it. And they’ll hang on. There’s even a chance they come out on top. Whatever the case, customers, developers, and publishers are going to be better off. Pitchford has wanted to have this discussion officially addressed, but according to him whenever the situation is brought up to 2K they shut him down. 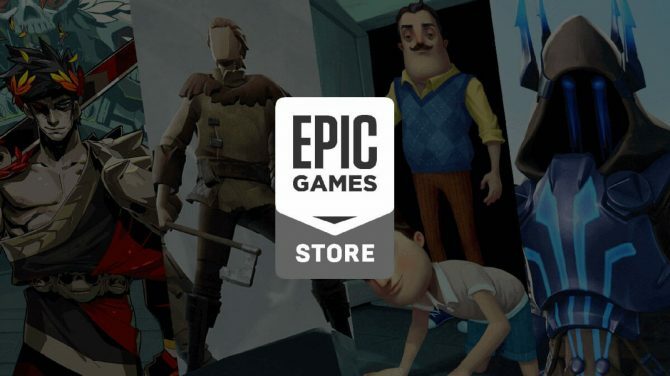 While the Epic Games Store is still quite a divisive subject for many people, we can only hope that one day the Epic’s store will improve and that publishers will be more transparent about their exclusivity decisions so the Epic Games Store and Steam can co-exist and work for everyone. Borderlands 3 is set to release September 13 for Xbox One, PS4 and PC via the Epic Games Store. 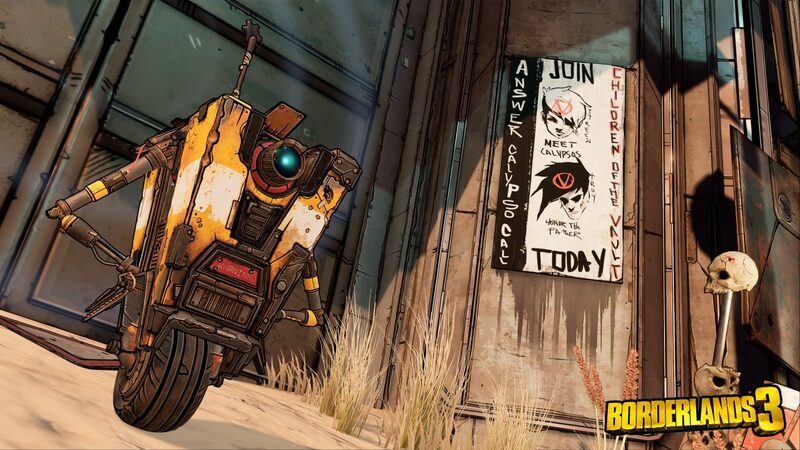 A Steam release for Borderlands 3 will follow in April 2020. Those who want to pre-order the game for console can currently do so on Amazon.